Good credit still matters even when you don't expect to borrow money or you're retired. Well, not really, although there are situations when credit scores shouldn’t be anyone’s main concern. Let’s start with some reasons why credit scores still matter, even when you don’t plan to borrow money. Most insurers use credit-based insurance scores, which use information from credit reports to help set premiums for auto, homeowners and renters policies. A drop from excellent to poor credit can more than triple homeowners’ premiums in some states. Credit can have a bigger impact on auto insurance premiums than any other factor, including someone’s driving record, according to an investigation by Consumer Reports. That’s not all. Cell phone companies often reserve their best deals for those with the best credit. Many employers check credit reports, which could be an issue should you want to work or return to work in retirement. Utilities and landlords also typically check credit scores, which might become an issue if you move. Senior housing, assisted living and continuing care retirement communities also may use credit histories or scores to evaluate applicants. Reverse mortgages allow homeowners ages 62 and older to tap their home equity without having to repay the loan until they sell, move out or die. 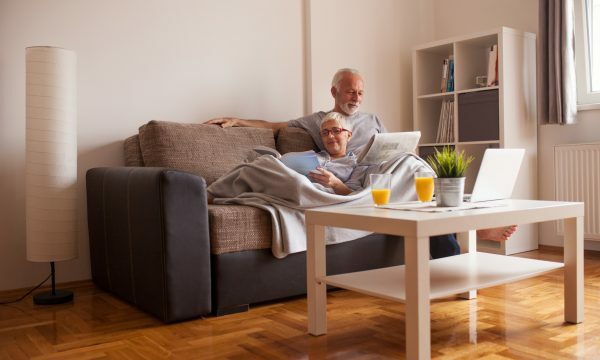 Reverse mortgage lenders typically don’t have minimum credit score requirements, but a credit check is part of the financial assessment needed to get the loan. A single credit card is enough to maintain good credit scores. Any card will do, as long as it reports to all three credit bureaus (most do). The card should be used lightly but regularly and balances paid in full, since there’s no credit score advantage to carrying debt. You're struggling to pay your bills. It makes little sense to keep sending money to credit card companies and most other lenders if you’re having trouble paying for necessities: shelter, food, utilities, medications. You also need help if you’re being sued over debt or hounded by collectors. Consider talking to a credit counselor affiliated with the National Foundation for Credit Counseling and to an experienced bankruptcy attorney about your options. You need to file bankruptcy. If bankruptcy is the best option, you have plenty of company. The rate of Americans over 65 filing for bankruptcy has tripled since 1991, according to the Consumer Bankruptcy Project. But bankruptcy is not the credit score killer it’s often reputed to be. Credit scores typically plunge in the months before a bankruptcy filing, but then start to rise soon after. With responsible credit use, it’s possible to get back to near-prime credit scores within a few years after bankruptcy. You're trying to escape an onerous timeshare. There is often no easy way out of a timeshare, a kind of vacation ownership that requires paying annual fees and other costs. Sometimes owners can give the timeshare back to the resort developer, or sell or give it away. Other times, the only way to get rid of it is to stop paying and experience the consequences, which can include foreclosure and credit score damage. It’s impossible to predict the potential costs of lower credit scores, but older people with less reason to borrow may well decide the hit to their scores — which can linger for up to seven years for most negative marks, and up to 10 years for bankruptcy — is better than continuing to struggle for the rest of their lives.